Japan is steeped in tradition and spirituality, and the perfect place to get a true taste of Japanese culture is Kansai Region. 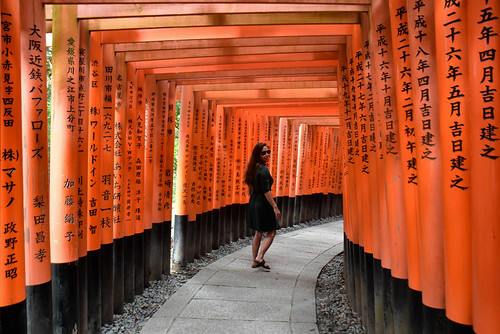 For first-time tourists in Japan, get your fill of tradition in Osaka, Kyoto and Nara where most of the top historical attractions are concentrated in a compact area. Everywhere you turn, you’ll find something unforgettable here! I wrote a detailed Osaka-Kyoto-Nara itinerary with budget for 5 days below to help you plan your trip. What makes Kansai Region special is this is where the Japanese civilization that we see today was born, specifically in Yamato province, present day Nara Prefecture. Japanese culture evolved from the strong cultural influences of its neighbors China and Korea. Today, tourists can still see these influences retained when taking a leisurely stroll in Nara. 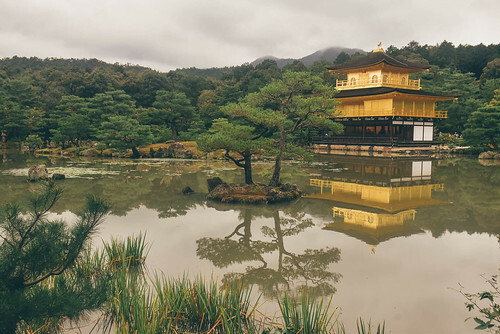 Kyoto is another tourist favorite because it is soaked in culture and traditions. This former capital of Japan boasts of 17 UNESCO World Heritage sites and over 2,000 Buddhist temples and Shinto Shrines. And if you want to watch kabuki performances (Japanese theater) and geisha dances, this is the place to be. Osaka on the other hand is the antidote of the traditional Kyoto and Nara. Despite the lack of historical attractions here, this bustling city makes up for it through good food and frisky shopping districts. Here’s a sample Osaka Kyoto Nara itinerary with budget for 5 days. The sample itinerary is for 2 days in Osaka, 2 days in Kyoto and 1 day in Nara.I wrote the trip budget on a separate table below. Feel free to tweak this depending on your budget and places that you want to visit. Head to Osaka Station. 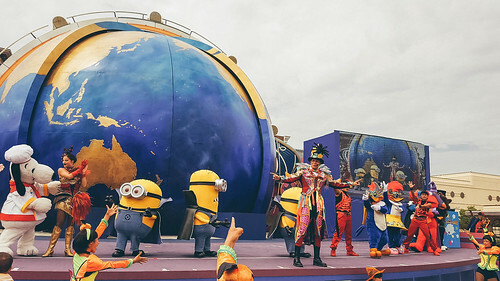 ETD for Universal Studios Japan. Skip the lines, purchase your ticket in advance below. Head to train station. Depart for Osaka Castle. FROM OSAKA STATION: At Osaka Station, take Osaka Loop Liner and alight at Osaka Jokoen. Transit time is 10 minutes and fare is JPY 160 /PHP 75 (USD 2/ EURO 1.22/SGD 2/MYR 6). FROM OSAKA-NAMBA STATION: At Osaka-Namba Station take the Kintetsu Nara Line and alight at Tsuruhashi. Transit time is about 5 minutes. Fare is JPY 210/PHP 98 (USD 2/EURO 2/SGD/ MYR 8). At Tsuruhashi, transfer to Osaka Loop Line and get off at Osaka-Jokoen. Train fare is JPY. Walk to Osaka Museum. Located across southwest of Osaka Castle. Walk back to Osaka Jokoen Station and depart for Umeda Sky Building. Depart for Tempozan Ferris Wheel in Tempozan Harbor Village. Head to Shinsaibashi Suji and Amerikamura. Head to Dotonbori, walking distance from Shinsaibashi Suji. Depart for hotel. Head to Namba Station, about 5 minute walk from Dotonbori Area. From Osaka Station, take JR Kyoto Line Rapid Service and alight at Kyoto Station. Travel time is about 35 minutes. Fare is JPY 560/PHP 264 (USD 5/EURO 4.31/SGD 7/MYR 22). ETA Kyoto Station. Head to hotel. Back to Kyoto Station for train to Fushimi Inari Shrine. At Kyoto Station, take JR Nara Line and alight at Inari Station (2nd station from Kyoto). Transit time is about 5 minutes and train fare is JPY 140/PHP 166 (USD 1.30/EURO 1/SGD 2/MYR 5). ETA Inari Station. Inari Shrine is a short walk from the station. Take JR Nara Line for Kyoto. Transit time is 5 minutes and fare is JPY 140/PHP 166 (USD 1.30/EURO 1/SGD 2/MYR 5). 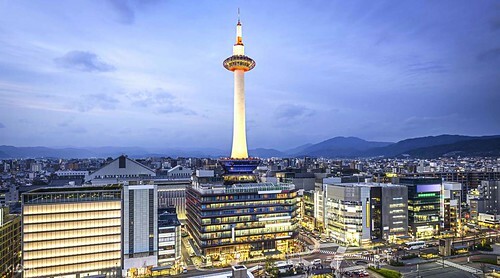 *If you don’t plan to go inside Kyoto Tower, you can actually see it in front of Kyoto Station. Back to Kyoto Station. Depart for Kiyomizu-dera Temple. BY TRAIN: At Kyoto Station, take JR Nara Line and alight at Tofukuji Station. Transit time is about 2 minutes. Transfer to Keihan Main Line and alight at Kiyomizu-Gojo Station. Transit time is approximately 3 minutes. Total fare is JPY 270/PHP 127 (USD 3/EURO 3/SGD 3/MYR 11). BY BUS: At Kyoto Station. Take Raku Bus 100 to Kiyomizu-dera Temple. Transit time is about 15 minutes. From Gion-Shijo Station take a Keihan Main Line and alight at Tofukuji Station. Transit time is about 5 minutes. Transfer to JR Nara Line for Kyoto and alight at Kyoto Station. Transit time is roughly 2 minutes. Total train fare is JPY 270/PHP 127 (USD 3/EURO 3/SGD 3/MYR 11). Head to Kyoto Station for Arashiyama. From Kyoto Station, take JR Sagano Line/ JR Sanin Line. Fare is JPY 240/PHP 113 (USD 2/EURO 2/SGD 3/MYR 9) and travel time is about 15 minutes. Alight at Saga-Arashiyama Station. 07:15 AM ETA Sagaarashiyama Station. 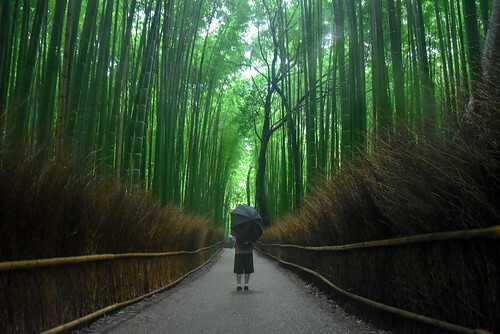 Explore Arashiyama. 12:00 PM Continue Arashiyama Tour. 02:00 PM End of Tour. Head to Nijo Castle. From Sagaarashiyama Station, take the JR Sagano Line for Kyoto and alight at Nijo (Kyoto) Station. Travel time is 9 minutes and fare is JPY 200/PHP 94(USD 3/EURO 2/SGD 3/MYR 8). ETA Nijo Station. Walk towards Nijo Castle. Explore Nijo Castle. From Nijo (Kyoto) Station. Take Bus No.12 to Kinkakuji Temple (Golden Temple). Explore temple. End of Tour. Back to Kyoto Station. Take Raku Bus to Kyoto Station. 06:00 PM ETA Kyoto Station. 07:00 PM Dinner. Shop for souvenirs. Head to Kyoto Station for train to Nara. From Kyoto you can either travel to Kintetsu Nara Station or Nara Station (you can use your JR West Pass). TO KINTETSU NARA STATION: From Kyoto Station, take the Kintetsu Kyoto Like Express and alight at Kintetsu Nara Station. Transit time is roughly 46 minutes. Train fare is JPY 620/PHP 288 (USD 6/EURO 5/SGD 8/MYR 24). Nara Park is about 5 minute walk from Kintetsu Nara Station. TO NARA STATION: From Kyoto Station, take the JR Nara Line for Nara Station. Travel time is about 1 hour 9 minutes. Train fare to Nara Station is (JR LINE) JPY 710 /PHP 332 (EURO 6/USD 7 /SGD 9/MYR 30). Nara Park is about 20 minute walk from Nara Station. Estimated arrival at Kintetsu Nara Station if you take the Kintetsu Line is 35 minutes. Estimated arrival at if you take the JR Line is 35 minutes. Nara Park can be reached on foot from these stations. FROM KINETETSU NARA STATION: If arriving at Kintetsu Nara Station, you can walk to Nara Park for approximately 5 minutes. FROM NARA STATION: If coming from Nara Station, Nara Park is roughly 20 minute on foot. You may ride City Loop Bus #2 (yellow bus) at JR Nara Station East Exit Bus Terminal and get off at Nara Park. Estimated arrival at Nara Park. Start touring around Nara Park. Purchase deer crackers and feed the deer. Head to Kofukuji Temple beside Nara Park. Pay terminal fee if entering the temple, otherwise, you can just take photos outside the temple. Head to Gangoji Temple. Pay entrance fee if you are entering the temple. Explore and take photos. Walk to Kasuga Taisha Shrine. If you plan to enter the inner temples, pay the entrance fee. Otherwise, you are free to explore the outer temple. Head to Todaiji Temple. To enter the temple and see the world-famous Buddha, entrance fee is required. Return to Kintetsu Nara Station for train to Heijo Palace. At Kintetsu Nara Station, take the train to Yamato-Saidaiji Station. And walk towards Heijo Palace for about 20 minutes. Fare is JPY 210/PHP 95(EURO 2/USD 2/SGD 3/MYR 8). Return to Yamato-Saidaiji Station. Ride train to Nishinokyo Station. Train fare is JPY 150 /PHP 70 (EURO 1.16/ USD 1.37/ SGD 2/ MYR 6). Travel time is about 10 minutes. ETA Nishinokyo Station. Walk to Toshodaiji Temple. From Toshodaiji Temple, walk to Yakushiji Temple. Return to Nishinokyo Station. Ride train to Yamato-Saidaiji Station. Transit time is about 10 minutes and train fare is JPY 150 /PHP 70 (EURO 1.16/ USD 1.37/ SGD 2/ MYR 6). 05:10 PM ETA Yamato-Saidaiji Station. End of Nara Tour. Ride train back to Osaka, Kyoto or Nara Station. 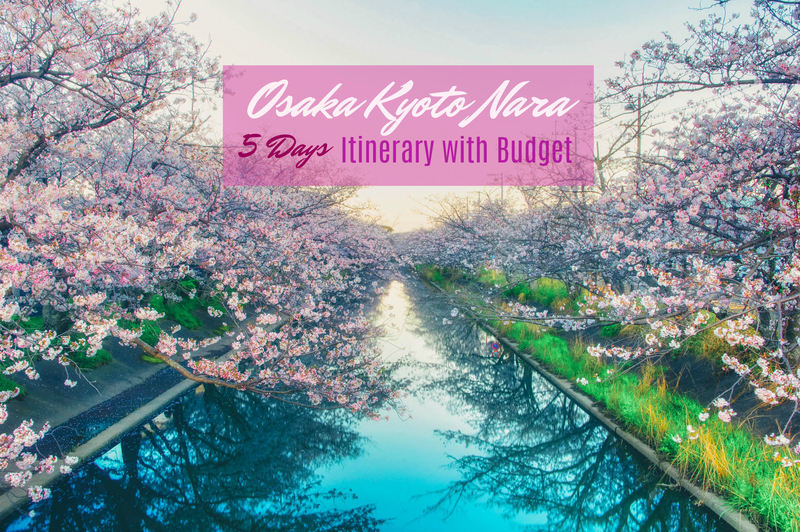 Here’s a sample Osaka, Kyoto and Nara budget for a 5 day trip. Feel free to tweak this. I didn’t include all the entrance fees to the temples in Nara and attractions in Osaka since we didn’t really enter all the attractions, but I’ve written all the entrance above (see itinerary) to give you an idea. 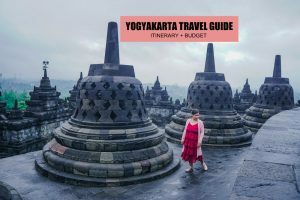 This sample budget is good for 1 person/solo traveler and if you are a party of two. If you plan to travel around the Kansai Region like Osaka, Kyoto and Nara, you can get a JR West Pass, Kansai Thru Pass or ICOCA Card. This will help you avoid going through the daunting task of checking complicated rate tables to buy tickets first. The ICOCA card though doesn’t give you a discount, it’s only a rechargeable card. 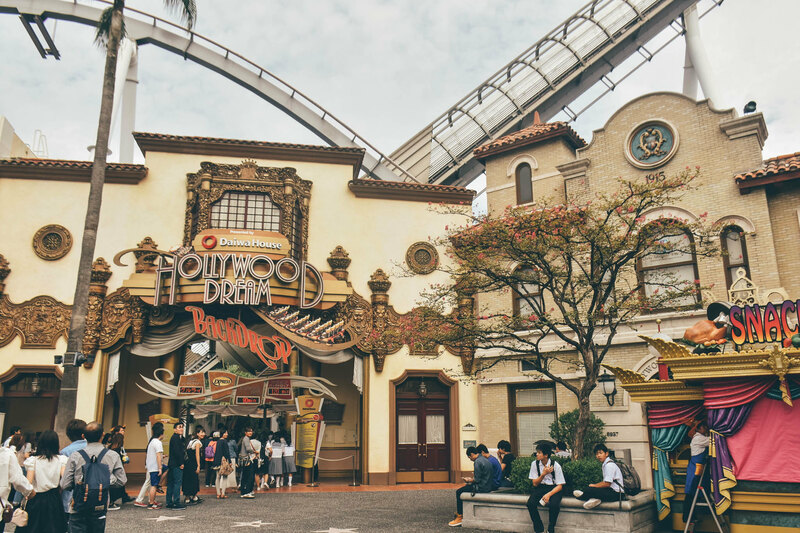 unlimited rides across either 2 or 3 days within the valid period. Travel to a number of cities in the Kansai and Osaka Bay region such as Osaka, Kobe, Kyoto, Nara, and more. Discount promotions at over 350 major tourist facilities across the covered area. Being connected online in Japan will save you. Since English is not widely spoken, you can refer to Google Maps for directions and Hyperdia.com for train routes and schedules. You can reserve pocket Wi-Fi in advance through the link below. Get a free JPY500 restaurant coupon when you pick up your ticket at Kansai Airport counter or OCAT counter – limited stock, book now! Choose from 3 different packages for your data needs and budget: unlimited 4G data for 8 days, 3 GB of 4G data for 8 days or 1 GB of 4G data for 6 days. Sobrang laking help po nung blog nyo lalo na po for solo traveller. First time ko po kasi magJapan sa February, 2018 and solo lang po ako. Sa tingin nyo po ba is kaya po for 1 day yung Kyoto-Nara? Bali sa Nara na po ako magstay ng gabi then morning next day balik po ako ng Osaka. 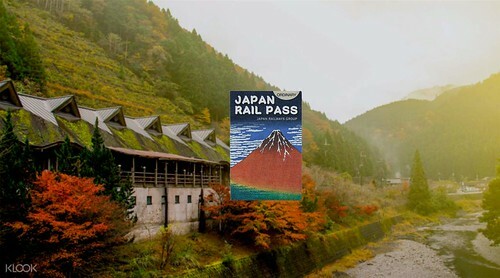 Ask ko na din po kung need ko po magavail ng Kansai Thru Pass at Osaka Amazing Pass for my trip? Feb 21 to 25 po yung days nung trip ko. 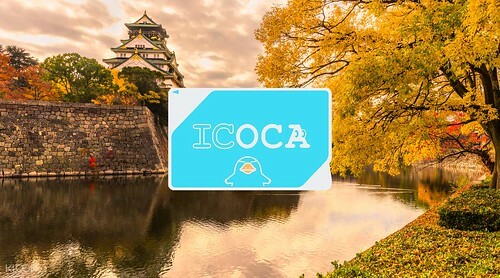 Can the ICOCA card be used around the Kansai area as well (Kyoto, Osaka, and Nara)? 6 days po ako Sa Japan. Will visit Osaka kyoto nara. Ok lang po ba bumili ng 4 days & 2 days JR west pass? Thanks for the sample itinerary! This is a huge help. Question though, we have 2 kids and only 4 days to explore the region (the 4th day is technically the departure day back to Manila). Do you have recommendations on how I can trim down the itinerary? Any places which I can skip (mainly because kids won’t appreciate it that much)? I’m looking at trimming down the Kyoto-Nara itinerary. Just worried that we might not be able to make the most out of the trip if we skipped some. Any advise would be helpful! I and my mom will be leaving Philippines for Osaka-Kyoto-Nara on August 25 to September 1, 2018 for sightseeing. I would like to ask what kind of pass did you purchase? As much as possible, I would like to use every means of transportation that is cheap. Hope you can help me on this matter. Thanks! Hi! Your blog post is so useful and I think we will copy your suggested itinerary. 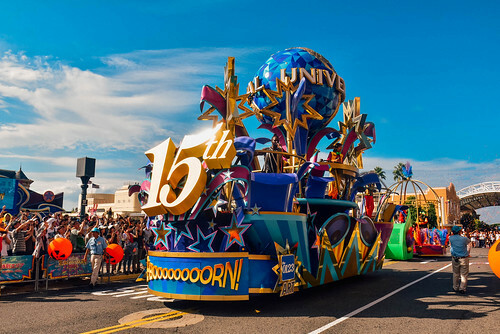 I’ve been reading a lot about how we can save on transportation and I noticed that you only spent on a JR West 4-day pass. 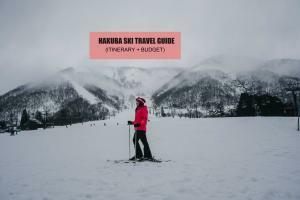 Is that all that you need in order to get around Kyoto, Nara, and Osaka? Thanks. Hi, I just wanted to ask if what’s worth better to buy if I will follow your itinerary? Kansai Thru Pass or JR West Pass? I can’t decide which one to buy. May question po ako regarding sa bus rides. Yung tickets ba pwede namin yun mabili individually dun sa station na? or kailangan po talaga mag purchase ng JR Pass para dun sa mga transportation na ginamit niyo? Hi! This is regarding the SIM that you got from KIX. Does your phone have to be open line for it to work? I bought my iphone from Globe. 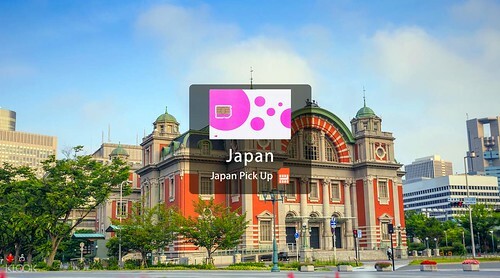 Mas okay po ba na gamitin ang JR Pass kung Osaka-Kyoto ang destination? From the airport, JR Pass na din po ba ang gagamitin ko papuntang Osaka or Kyoto? Hi! May I know how is the train commute in Osaka? Hindi ba too crowded na it will be difficult for travelers with kids? Hindi naman po nung na try naman. Avoid rush hour lang.